Episode 106 - Fictional Characters. Real Emotion. Why do we cry for imaginary people? Why does fiction stir our emotions? As nerds, we spend a lot of our personal time invested in people who aren't real. We watch lives unfold that have never been lived. We cry over the deaths of people who have never been born. Why? 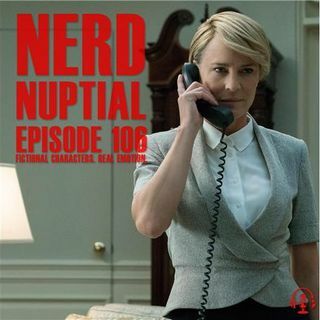 In this episode, we discuss the times we have been emotionally invested in fictional characters as well as how it can be a powerful stress reliever as well as an unhealthy substitute for life. This conversation takes a lot ... See More of twists and turns and you might not guess where it ends up. Have you ever found yourself emotionally invested in fictional characters?